Excellence is the key to success and the required talent needs to be spotted early. The past years we have been closely collaborating with universities and the port community. In challenging research projects and graduation thesis we researched many challenges in collaboration with the port community. We did this together with interns from Erasmus University Rotterdam, TU Delft and the Rotterdam University (Hogeschool Rotterdam). 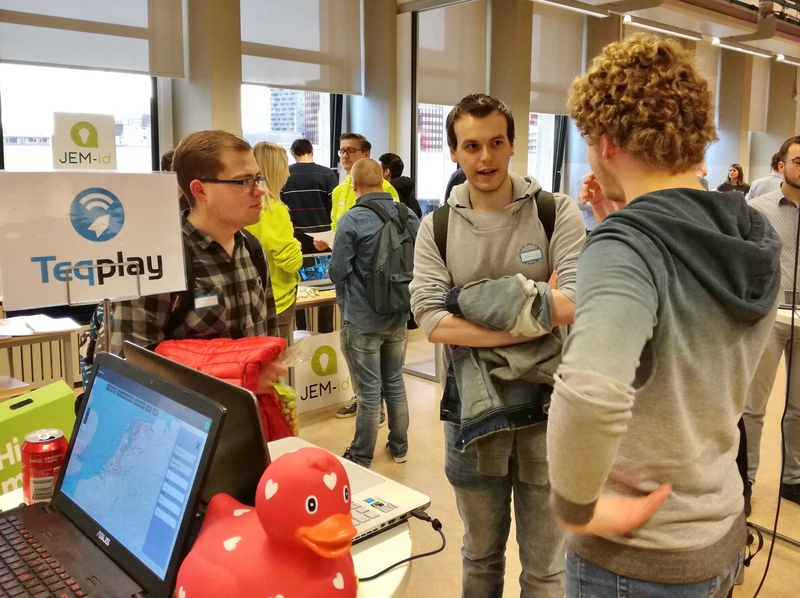 To attract new talent our former interns Maurice and Joost (… and now working @Teqplay!) pitched Teqplay at the “stage event” for second-year Computer Science students of Hogeschool Rotterdam. Who else than these guys can best tell about their experience of an internship at Teqplay. 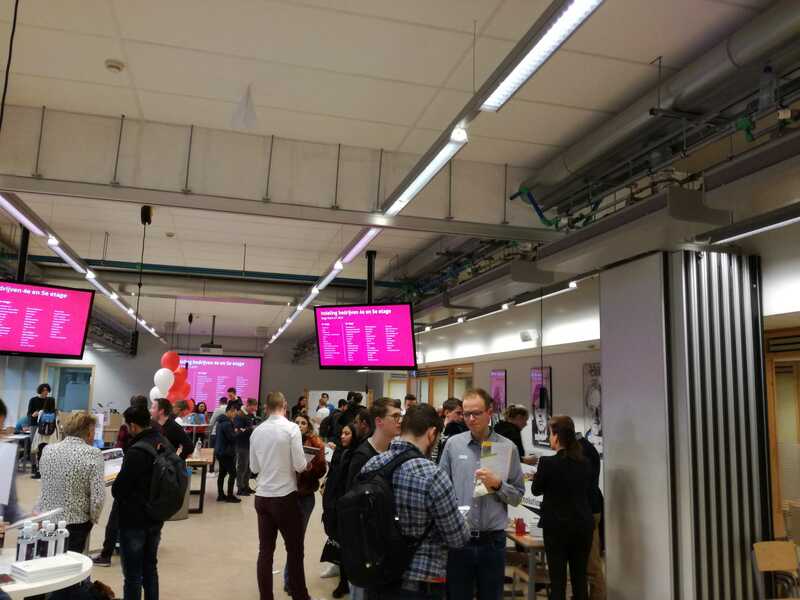 Many companies pitched at the event, but even more students showed up. Many found their way to our booth, and some were wondering what the giant rubber duck was all about. As you might know at Teqplay we like rubber ducks and sometimes do some rubber ducking. So we brought some ducks with us to the event and Maurice and Joost explained rubber ducking. And of course, we are always looking for more cool “rubber ducks” to join our company!